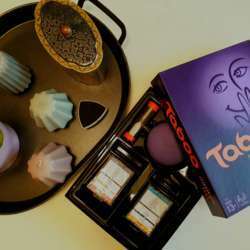 For our second games night this year we will continue with "Taboo." Throw in a timer, squeaker, and a healthy dose of competition to spice up your otherwise calm Wednesday night. The game is interactive and in the English language. For our second edition, we have not the cost of the board game and but whatever you eat/drink at Listo Lounge is your decision. We will have an area reserved at the back of the lounge.